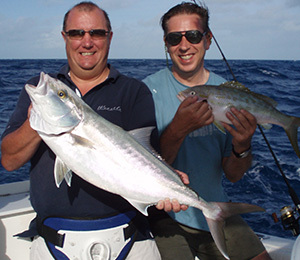 While there are many interesting and exciting pastimes to explore during your time inKey West, fishing Key West may be one of the most rewarding. 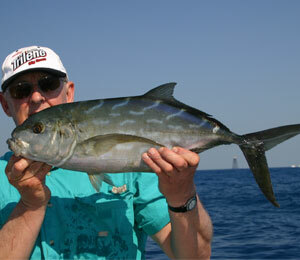 Many species of sea life call this abundant and beautiful region of the world’s oceans Home, such as Skipjack Tuna. 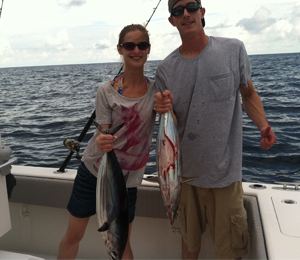 One species of fish you'll likely encounter when you fish Key West is the Yellow Jack (Carangoides bartholomaei). Sometimes also known as the coolihoo, it is a species of offshore marine fish belonging to the jack family--a genus of fast-swimming predatory fish including the pompanos and the jack mackerel, along with the yellow--which hunt above reefs and in the open water. 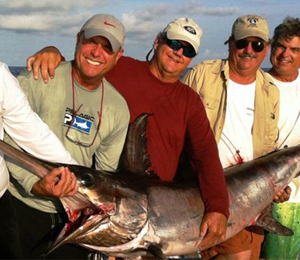 One of the most-prized trophies of tropical waters is the Swordfish. Adults usually measure about 9.5 feet in length, and the record weight for a rod-and-reel catch stands at 1,182 for a fish taken in Chilean waters. The Almaco Jack is also fondly known as horse eye bonito, songoro, and bonito, is a fish that is a part of the Carangidae family. Its scientific name is Seriola rivoliana, and it is one of the most popular fish in the Pacific Ocean. 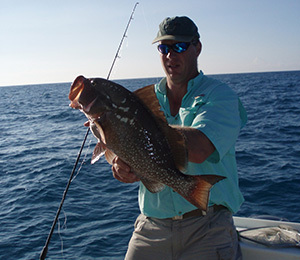 Red grouper is scientifically known as Epinephelus morio. It is native to the Southern Hemisphere, and is especially abundant in the waters of Brazil, Cuba, andKey West, particularly during the months of May through December.